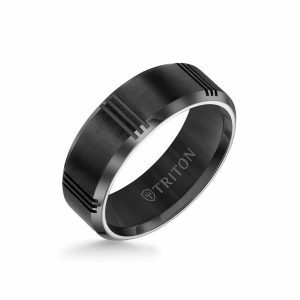 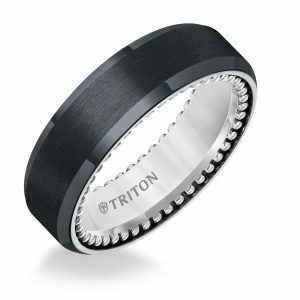 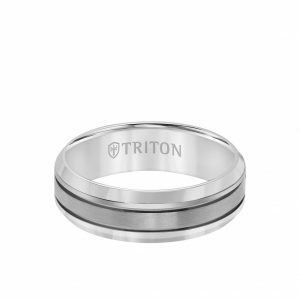 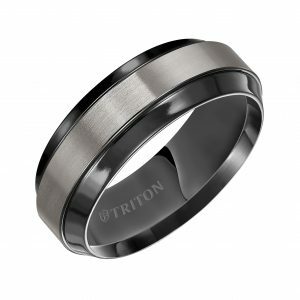 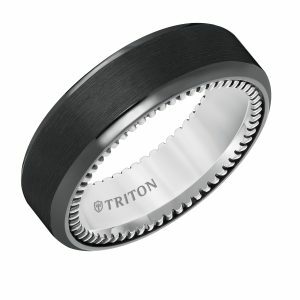 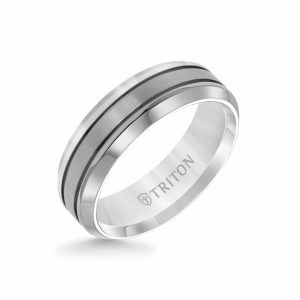 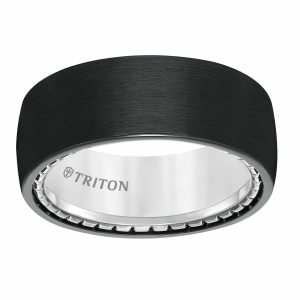 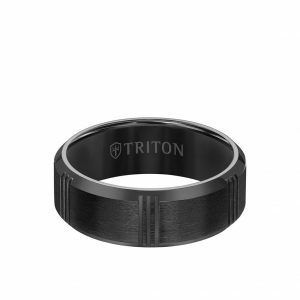 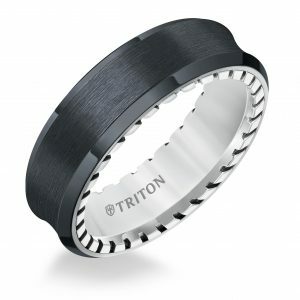 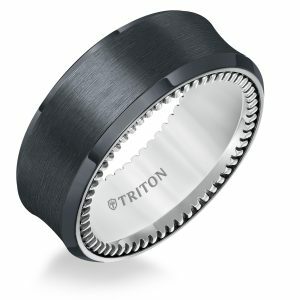 Benchmark 8mm Titanium grooved rounded edge comfort fit band. 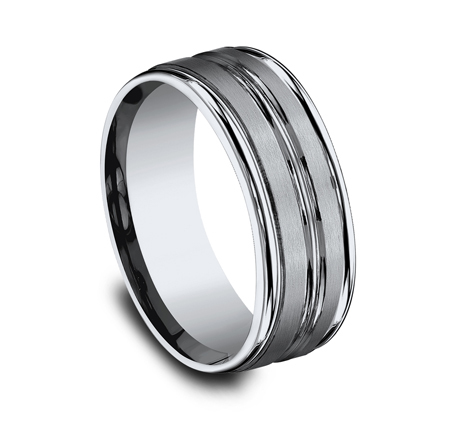 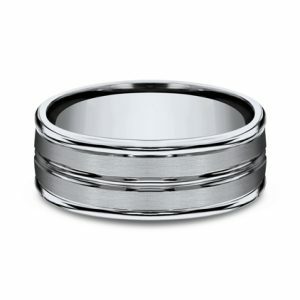 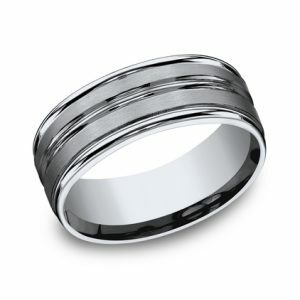 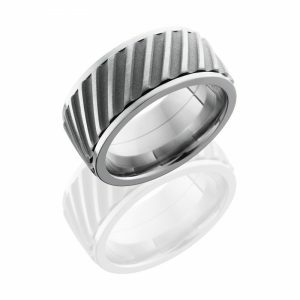 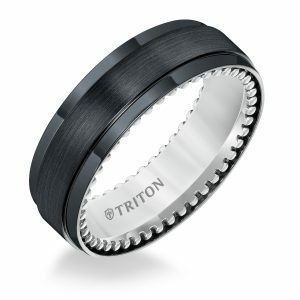 The band is 8mm wide with a high polished center groove, which runs the circumference of the ring. 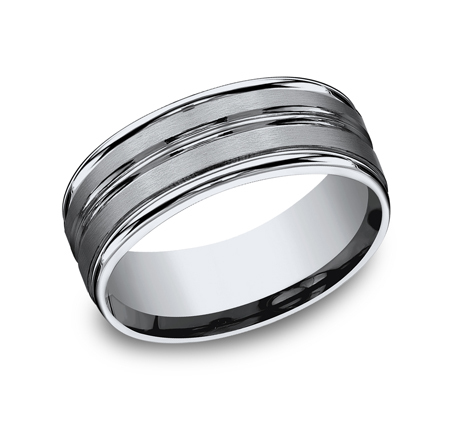 The center rib is bordered by satin finished stripes. 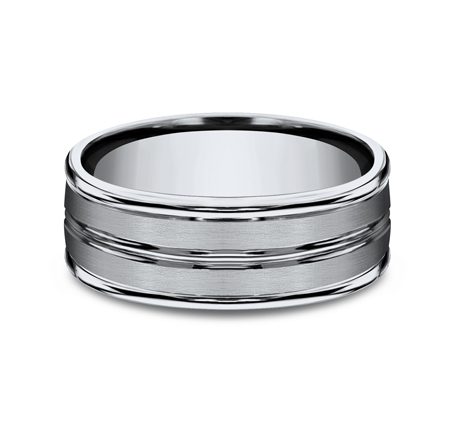 The ring has a heavy comfort fit and high polished rounded edge. 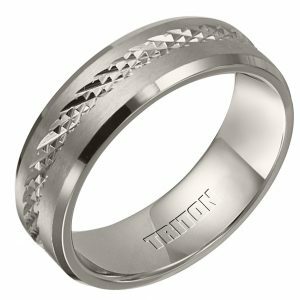 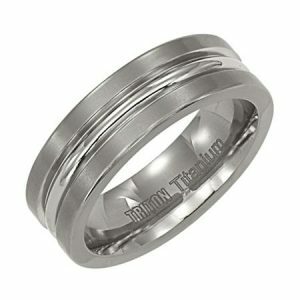 Benchmark Ceramic wedding rings come with a life time fit and finish warranty.